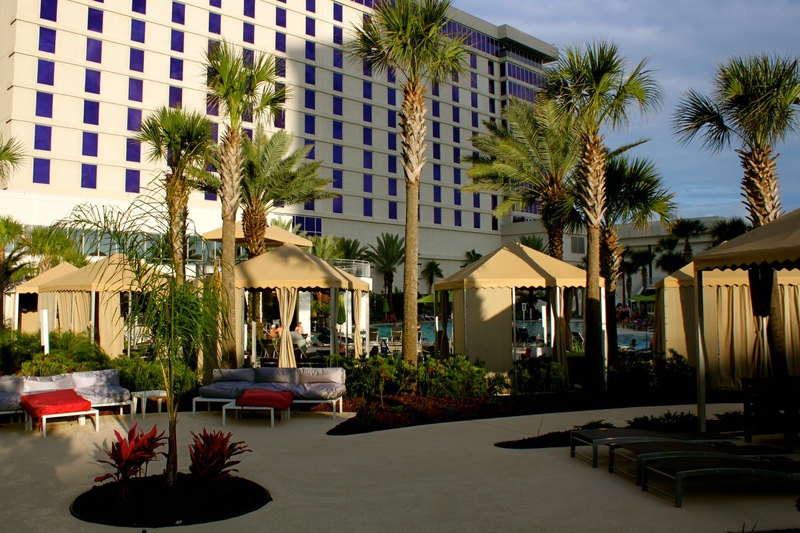 The Hard Rock Hotel and Casino Biloxi is a resort located on the Mississippi Gulf Coast in Biloxi, Mississippi. 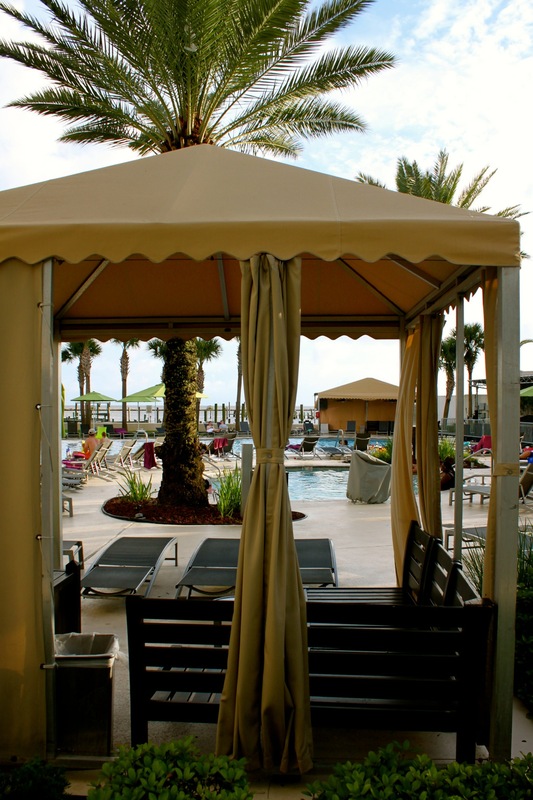 The resort was originally constructed in 2005 and scheduled to open just a few days after Hurricane Katrina struck the Gulf Coast, destroying the casino and damaging the resort. 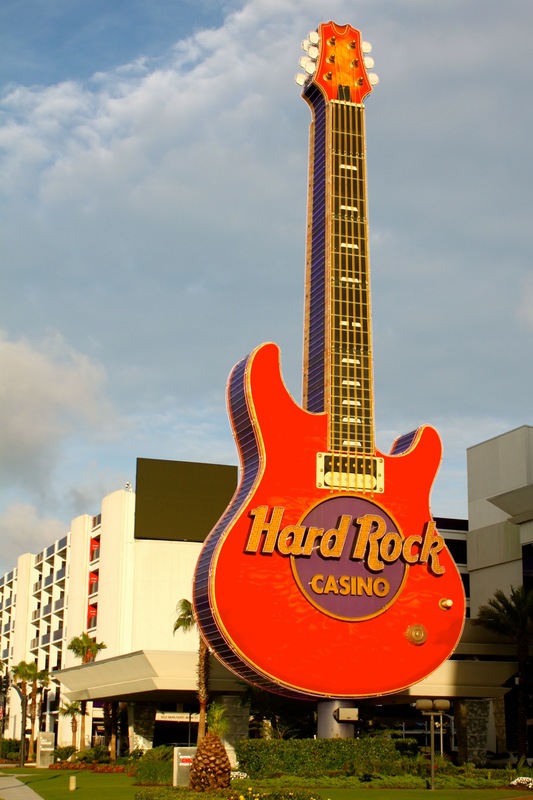 The 112 foot tall guitar sign on the property is a replica of a Peavey HP Signature and survived the wrath of Hurricane Katrina largely intact. 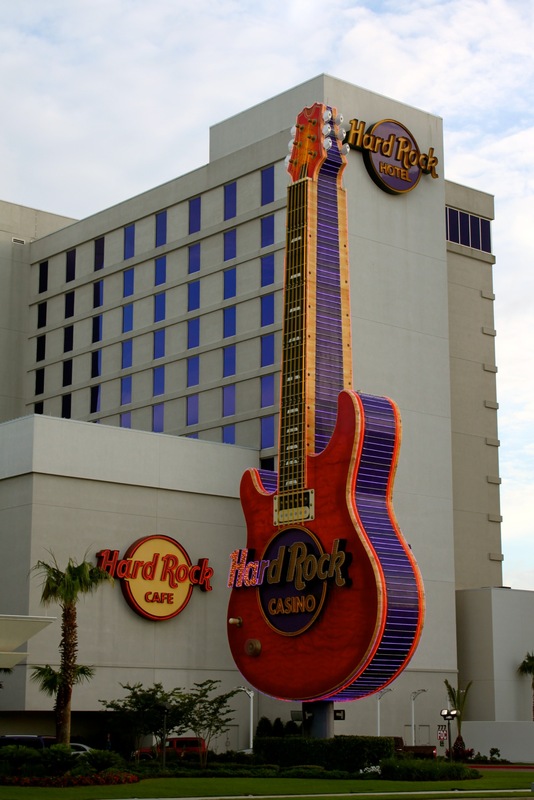 It was restored and repaired during the property’s reconstruction and the Hard Rock Casino finally opened to the public on June 30, 2007. 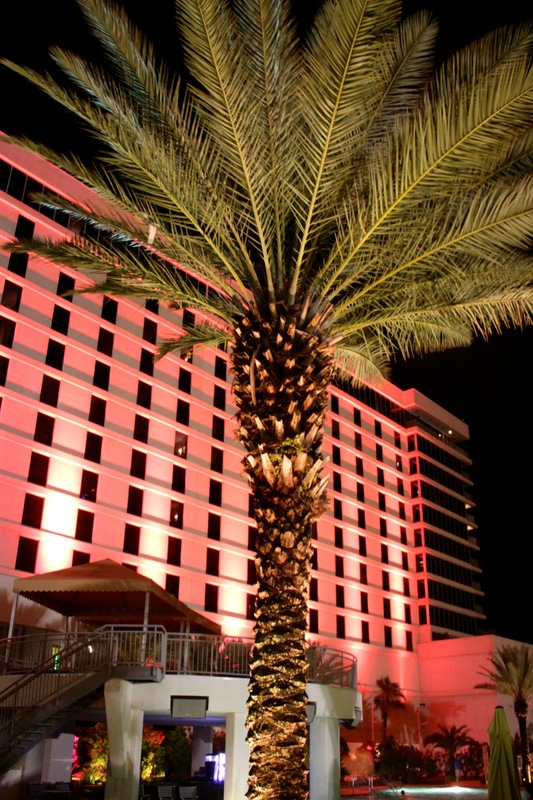 We recently spent a fabulous night at the Hard Rock Hotel in Biloxi during our Mississippi Gulf Coast Road-Trip. 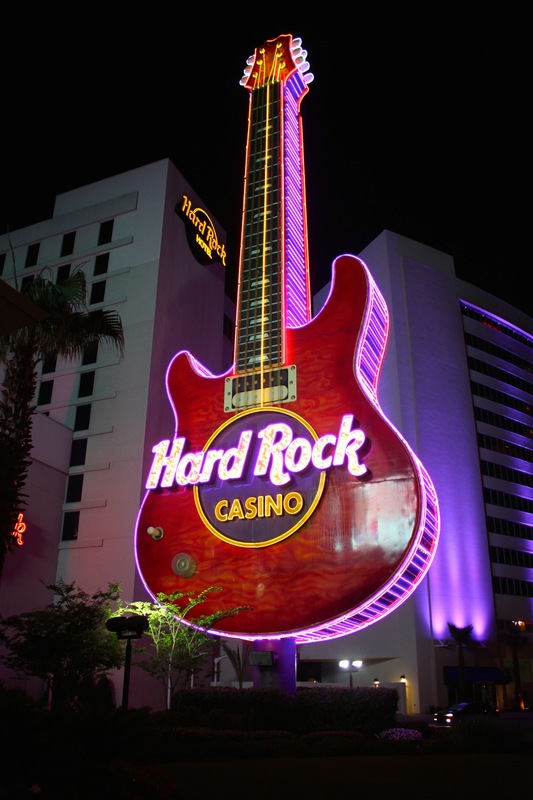 As we’ve come to expect from any Hard Rock property, the place was rockin’ and the walls were covered with the history of the music we all love. 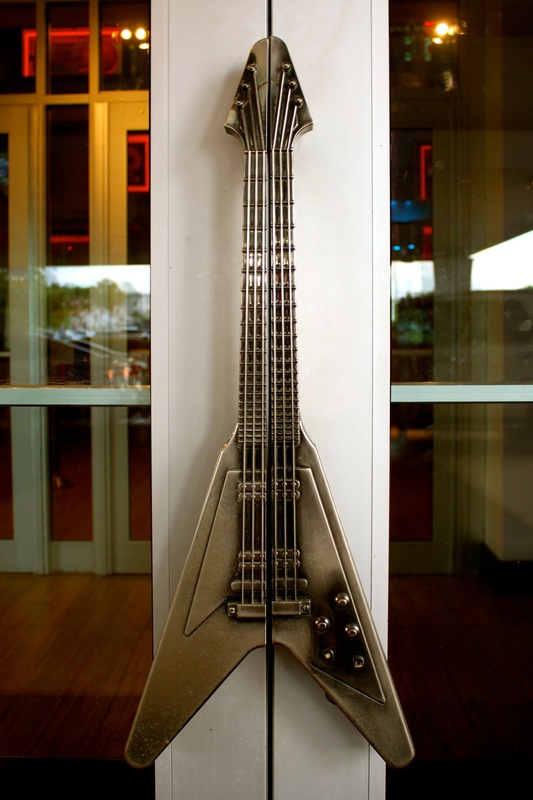 Hard Rock’s unmatched collection of memorabilia is one of the star attractions at any of their resorts, and the Biloxi location was no exception. 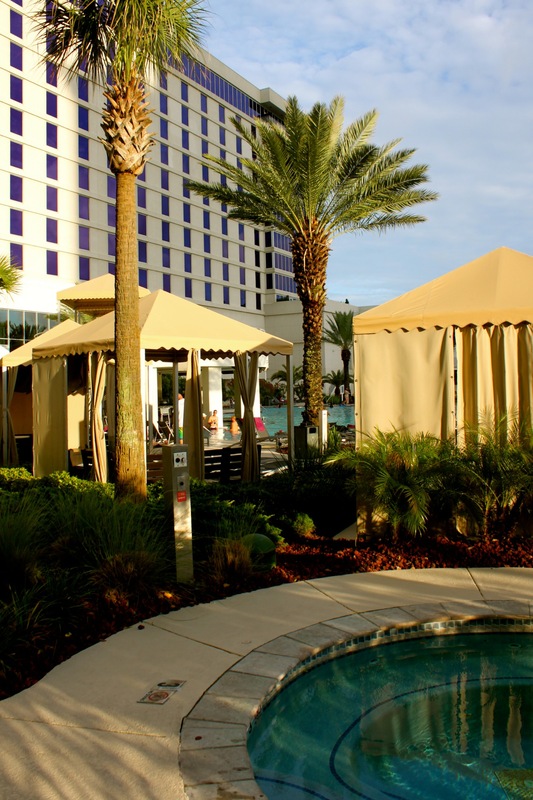 The Hard Rock property includes a Hard Rock Cafe, Ruth’s Chris Steak House, close to 500 hotel rooms and suites, a full service spa, a nightclub, over 1400 slot machines, 56 table games, a poker room, outdoor beach themed pool with cabanas and swim-up bar, and a Hard Rock Live performance arena. 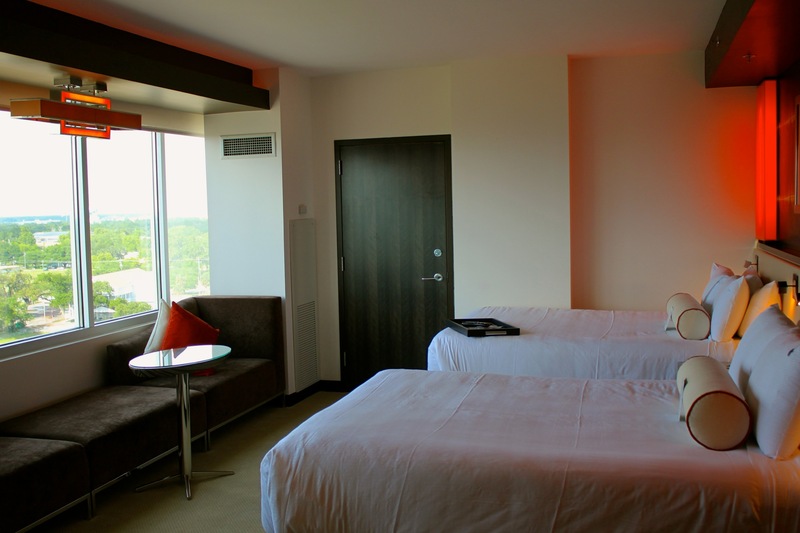 Our room was hip and spacious, with orange lighting effects throughout. 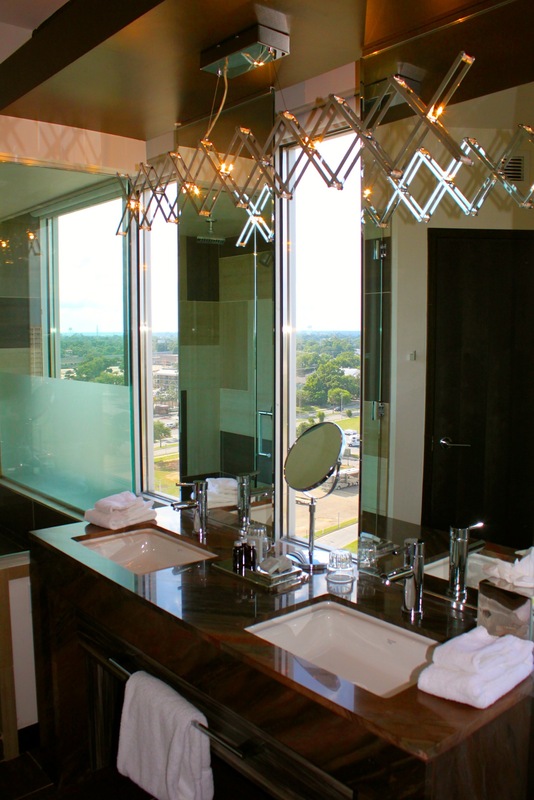 The design of the room focused heavily on the view provided by the large windows. 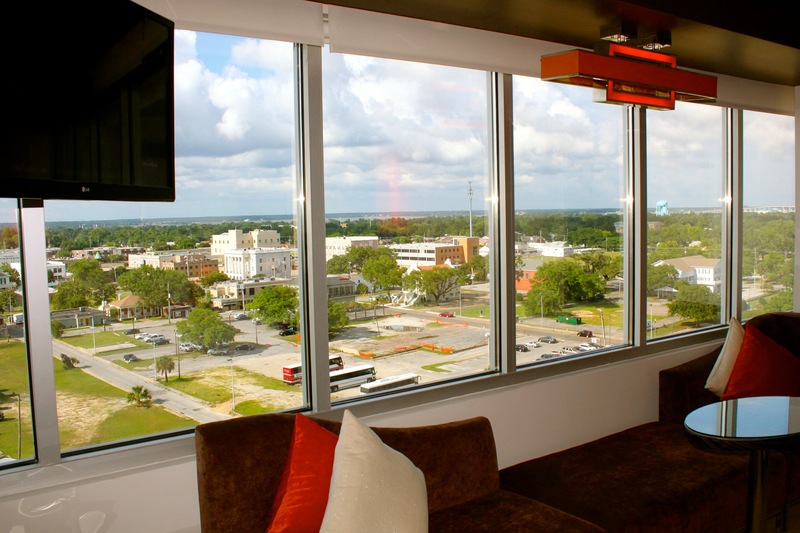 Even though our room wasn’t on the waterfront, we had an outstanding view of the city, but could block out the sun with an electric shade. 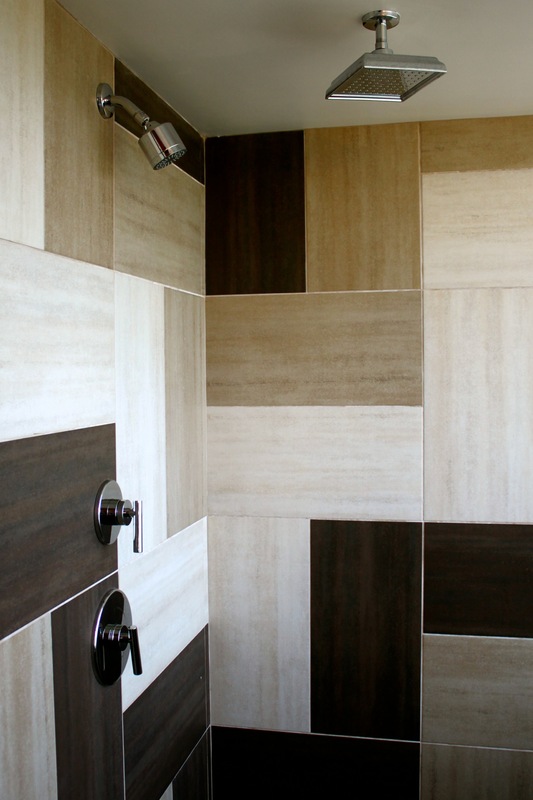 The finishes were crisp and modern, with enough elegance to make you feel like a rock star. 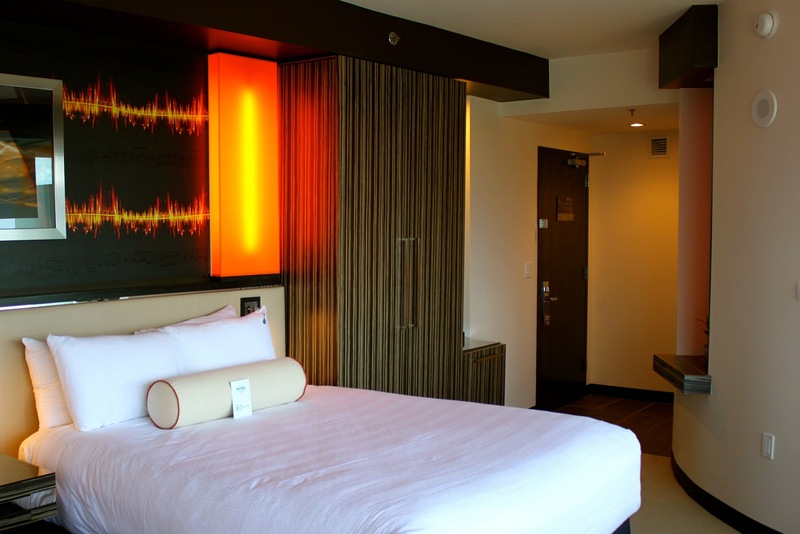 Although the room was equally attractive and comfortable, few people visit someplace like the Hard Rock Hotel and Casino and plan on spending much time upstairs. 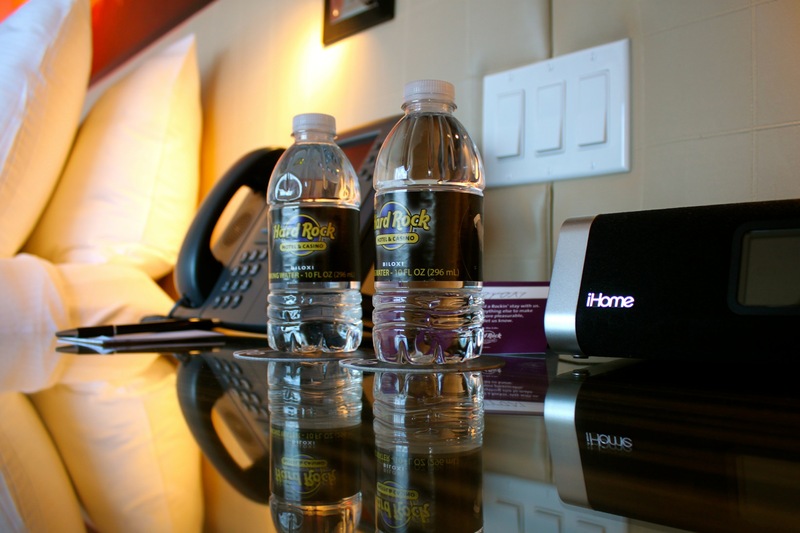 While most are likely to spend hours at the tables, Hard Rock is known for their pools, so we wanted to make sure we captured that aspect during our stay. The water was a bit chilly when we visited, so the pool was fairly empty, but the setting was undeniably beautiful. The serenity of this seaside oasis is obvious in these photographs, but the pool has a wild side as well. Live music and parties are held on the deck often and when the warm weather comes, there is no cooler place to be. 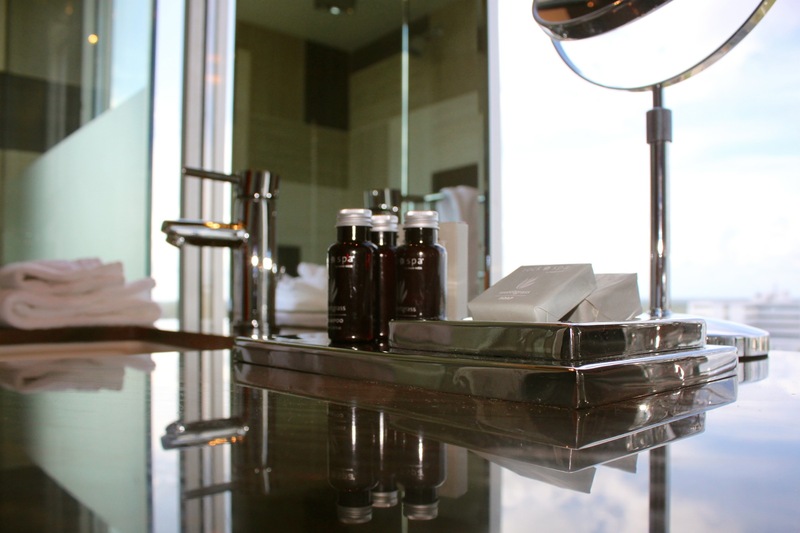 Overall we enjoyed our stay at the Hard Rock Hotel & Casino Biloxi, and only wished we had more time in town to experience everything it had to offer. 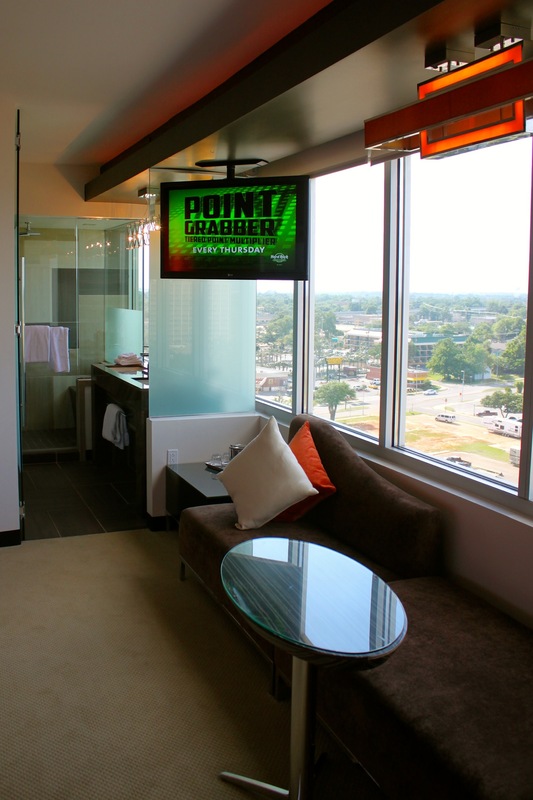 There are many choices of Hotels and Casinos in Biloxi, but none can match the rockin’ good time provided at the Hard Rock.